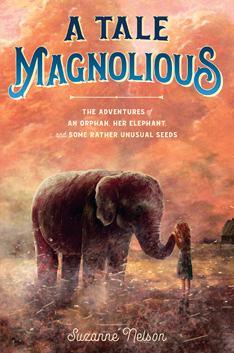 Suzanne has a new picture book coming! The announcement in Publishers Marketplace is: Cake Pop Crush author Suzanne Nelson’s Over In the Stable, a lyrical and rhythmic Christmas rendition of the old nursery rhyme, to Barbara Herndon at Zonderkidz by Ammi-Joan Paquette at Erin Murphy Literary Agency (World). 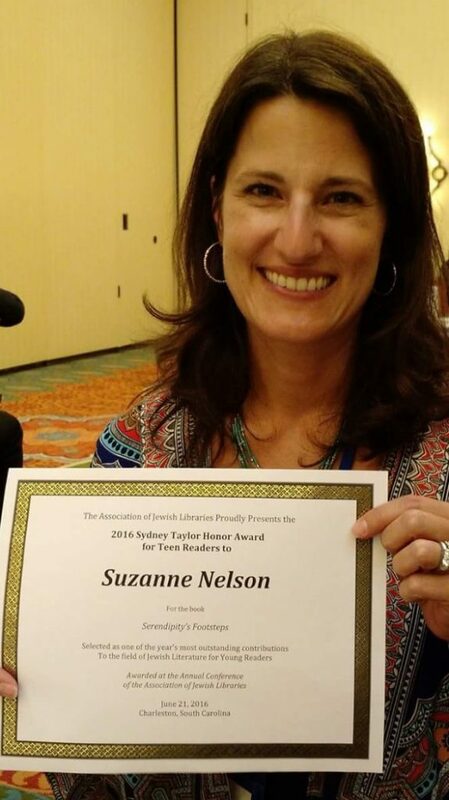 Suzanne attended the AJL Conference in Charleston, SC, in June to accept the Sydney Taylor Honor Award for Serendipity’s Footsteps. It was a wonderful conference and awards banquet. Thanks to the many amazing librarians and conference coordinators who helped make it such an incredible event. Did you know that Cake Pop Crush, Macarons at Midnight, Hot Cocoa Hearts, and You’re Bacon Me Crazy are now part of the new line of Wish books published by Scholastic. Check out Scholastic’s Wish webpage for a listing of all the Wish books, games, and fun! 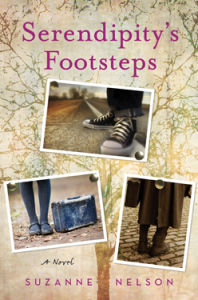 Serendipity’s Footsteps has been chosen as a 2016 Sydney Taylor Honor Book! Hurrah! When she was a senior in high school, Suzanne tutored a three-year-old boy named Troy Drake. The Drake family were a wonderful resource for Suzanne as she wrote Serendipity’s Footsteps and researched Down Syndrome. It was from the Drakes that Suzanne learned so much about the challenges so many individuals with special needs have in finding meaningful, gratifying employment. 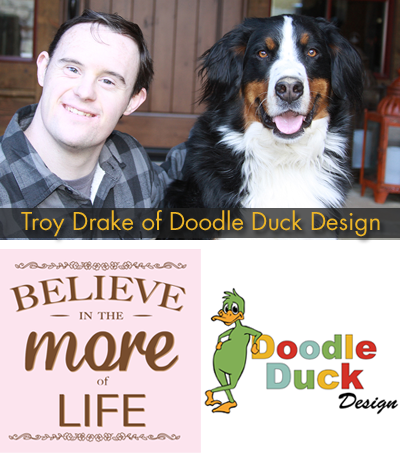 In his twenties now, Troy Drake runs his own Etsy business, Doodle Duck Design. He has created a wonderful inspirational plaque (shown here) for Serendipity’s Footsteps that speaks to Pinny’s quest to find the “More of Life.” Suzanne will be giving away three of these plaques in the coming months, and it is her hope that they will raise awareness of the importance of every individual being able to find and succeed in jobs they truly love. The plaques are also available for sale from Doodle Duck Design. Suzanne’s Newsletter: Info on upcoming releases, giveaways, and other fun!